Throughout dEaDINBURGH: Book 2 I’ve placed interludes, following the development of Stephanie, Alys Shephard’s cousin, and how she deals with the vents of Book 1. In this scene, Steph- after months of hard combat and survival training with her aunt- has decided to leave The Gardens. This is how it feels to be Stephanie. My cousin, Alys and my friend Joey MacLeod have returned from the south. They found no cure and almost killed the madman who took my eye. Almost….. Such a small, limiting word with such infinite potential. Alys, tired from her journey and debriefing, is asleep in another tent. Joey went to seek help from a friend. Lying surrounded by dozens of strong, highly trained women I’ve known my whole life, I’ve never felt so desperately separate. But I feel good too. My legs are swift and strong as I slip silently from my tent. My mother lies sleeping soundlessly, confident in the security of her home, The Gardens. These delusions of contentment she taught me, that made me so weak. I’m done with them. I crouch in the darkness of the early winter hours. Closing my eye, I increase my awareness of every little sound in The Gardens. Joey taught me to do this. Focus on one sense at a time, close off the others and the one you need amplifies the world. I’ll never have the innate skill Joey has. He forged his senses over a decade and a half living in the infinite blackness of Mary King’s Close. I do well enough though. I listen to the guards patrol their regular routes around the fences and gates. The rattle of the East gate tells me where Magda is. A crunch at the bottom of the North slope gives Helen away. Five other Ranger Guards broadcast their presence to me. I open my eyes and move silently on the balls of my feet, dancing between their sounds in the arms of the winter wind. Slipping through a gap between Helen and Samantha, I spider-crawl, low and quietly, my strong core muscles flexing and stretching, keeping me tight and able to stop on a hair if needed. As I wait for two Rangers to pass by ten feet below me on the grassy slope, I smile a fraction of a smile, allowing myself to enjoy my hard-earned skills. I close my eye one more time, checking for trace movement or any guards I’ve missed. I’m entirely certain and infinitely confident in my assessment and use the three seconds I have to vault silently over the spiked iron fences, landing cat-like on Princes Street. On the street I say a silent prayer of thanks that The Ringed are almost entirely absent, having been drawn North by a metallic giant collapsing. I feel, smooth, in control, powerful and strong, but I need more. More than I can have here. 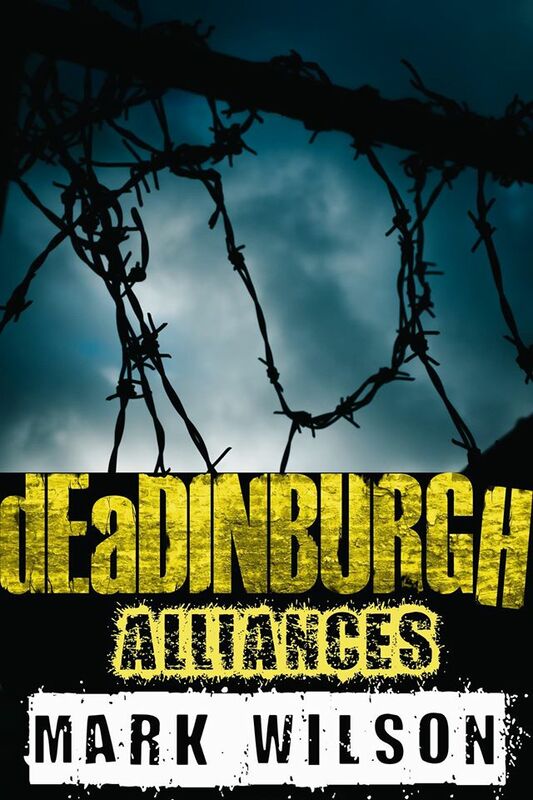 dEaDINBURGH: Alliances (Din Eidyn Corpus Book 2) is due for publication by Paddy’s Daddy Publishing n March 23rd, 2015 and is available for pre-order at Amazon, US and UK. 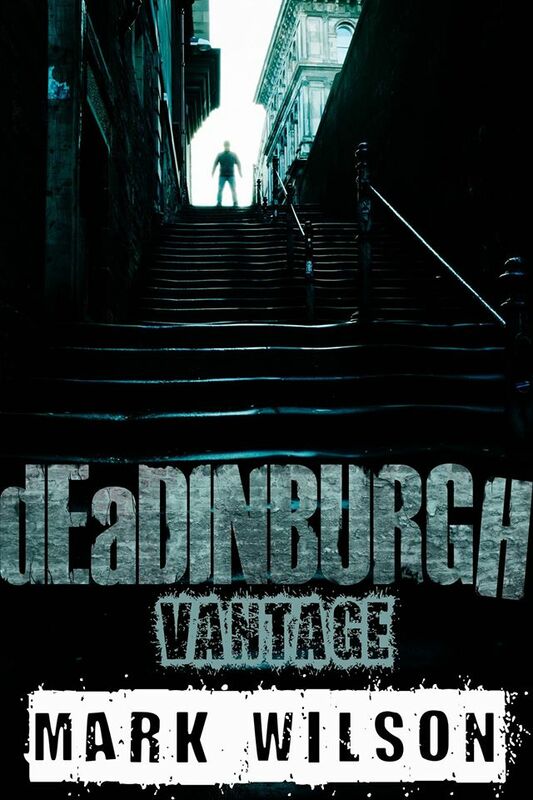 * dEaDINBURGH: Vantage (Din Eidyn Corpus Book 1) is also available now on Kindle and as a paperback. This entry was posted in books, feminism, horror, literature, media, movies, science fiction, writing, zombies and tagged dEaDINBURGH NOVELS, dEaDINBURGH preview, Mark Wilson, scottish horror, young adult by MW. Bookmark the permalink.